Different areas of old Bombay had their own individualistic and peculiar characteristics acquired from the different ethnic groups that dominated those areas. For the first ten years of my life, at the intersection of Kalbadevi Road and Princess Street in old Bombay. My grandfather's father came to Bombay in the late 1890s, and since then, for a little over a hundred years, we lived in Bombay for four generations, till I decided to make Toronto my home in the 21st century. From north of that intersection, Kalbadevi Road was predominantly a Gujarati locality, right up to Bhuleshwar. The temple of Mumbadevi, the goddess that gives Bombay its name – Mumbai, is on this road. The cotton market (Mulji Jetha), the gold market (Zaveri Bazar), the hardware (of the hammer and nails variety, because then there were no computers) market (Lohar Chawl) were all linked to Kalbadevi Road and the Princess Street. The road parallel to Kalbadevi Road – Jagannath Shankar Seth Road – is the one that I’m more familiar with as that’s the one I took to go to my school every day. This road was predominantly Marathi in character. Till the late 1960s and the early 1970s, this road has a significant presence of the Christian community, too. To its west is the famous Parsi Dairy Farm and it leads up to the Marine Drive flyover. To its south is Dhobitalao. Jagannath Shankar Seth Road led to Chira Bazar, Thakurdwar, the St. Teresa’s church. The road to the right of this intersection went to Prathna Samaj and to the left went to Charni Road station. Pydhonie, which was to the north of Kalbadevi Road, was predominantly Muslim, and further north was Mazagaon, which had a significant presence of Christians. Bombay was cosmopolitan, but its localities were insular, dominated by a specific ethnicity. This world gradually changed, as many locals moved to the suburbs in the 1970s and the 1980s. I haven’t been to the old areas of Bombay in a very, very, long time. But it stays etched sharply in my mind. 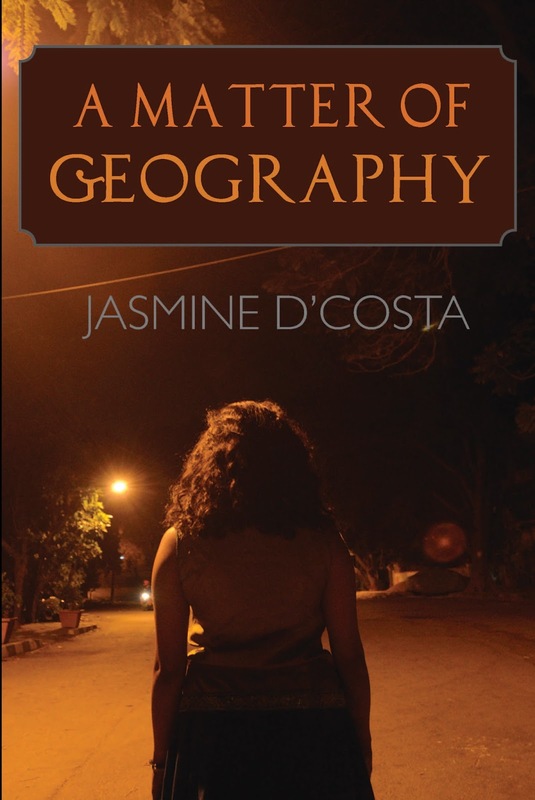 Reading Jasmine D’Costa’s A Matter of Geography revived those memories. The novel, Jasmine’s first, is set in Mazagaon, and is a story of a handful of neighbours who live in the Billimora Building, which is what Bombay calls a chawl (single-file tenements, connected by a corridor, with shared toilets). The novel is about the love between Peter and Anna, what separates them, brings them together and keeps them apart. It is set in the backdrop of the 1992-93 communal violence between the Hindus and the Muslims after the Babri Masjid was demolished in Ayodhya (a town in north India, linked to the birth of the Hindu God Ram according to the mythological classic epic Ramayan). Jasmine’s book brings alive the horrors of the communal carnage that left hundreds dead across India and broke the back of Bombay, changing it completely and permanently. 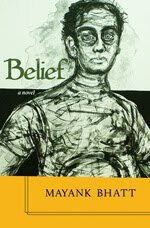 A significant part of the novel is about the valiant efforts a group of Christian families undertake to save the lives of their Muslim neighbours – Ali and his mother (Saving Ali) from the rampaging Hindutva mobs. The beauty of the novel is that the violence and the constant tension that forms its backdrop doesn’t ever overwhelm. Jasmine’s pithy observations about people and their lives keep the tone of the novel light and often hilarious. Also, the characters that form the novel are all sharply carved, each distinct in their own unusual way. Anna, of course, is the one that is developed most lovingly by the author. The unpleasantness that makes her immigrate to Canada makes her stronger. When she returns to Bombay after a long time, as a mature, level-headed young woman, she is a caring person who is unwilling to be swayed by emotions and makes hard choices both for herself and for Peter. The title of the book gets explained in what turns out to be the books most heart-wrenching scene when Anna decides that although she loves Peter and Peter loves her, she would return to Canada without him, and not want him to wait for her, because Canada is no place for first generation immigrants who are in their late 30s or older. Those who come to Canada when they are young have a generally successful and better life than those who come here when they are older. This passage, where Anna describes to Peter the slow disillusionment her parents experience after immigrating, is one of the most severe indictments I've read (fiction or non-fiction) of Canada’s utter failure at integrating its newcomers to enable them to have more fulfilling lives. Jasmine writes with empathy, which is a rare gift; and she writes with confidence.